So, I met the group and ran into different establishments trying to find a perfect spot to do the interview. We ended up in Shakey's though since it's getting late and we are all hungry as well. Once again! Behold the Queen of Awkwardness! Ohai! I'm being filmed and it's making me nervous. I tried my best to look confident throughout the interview though. I am relieved though that my brain functioned properly during that time and I haven't had those "blocked" moments. If you know what I mean. We had dinner afterwards and had an awesome chit-chat. They made me miss college life, really! 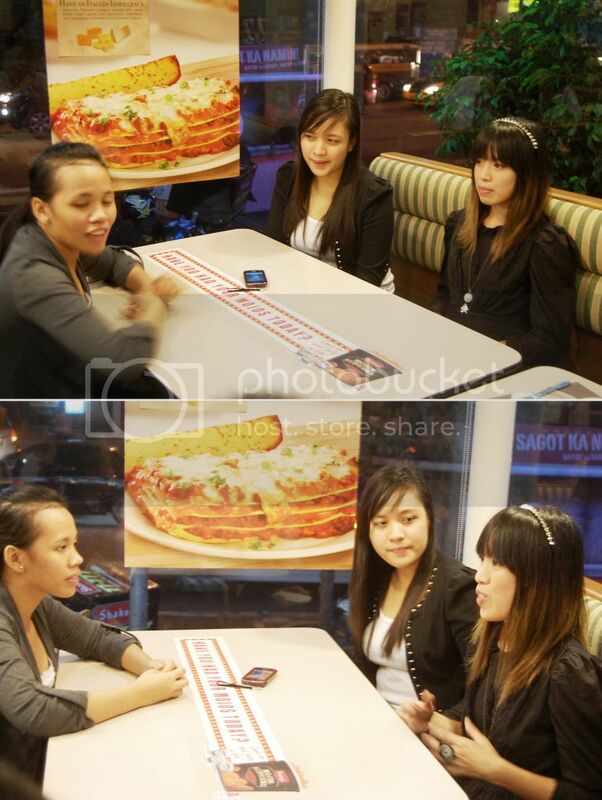 And yey to me for taking shamaless outfits shots in the resto.